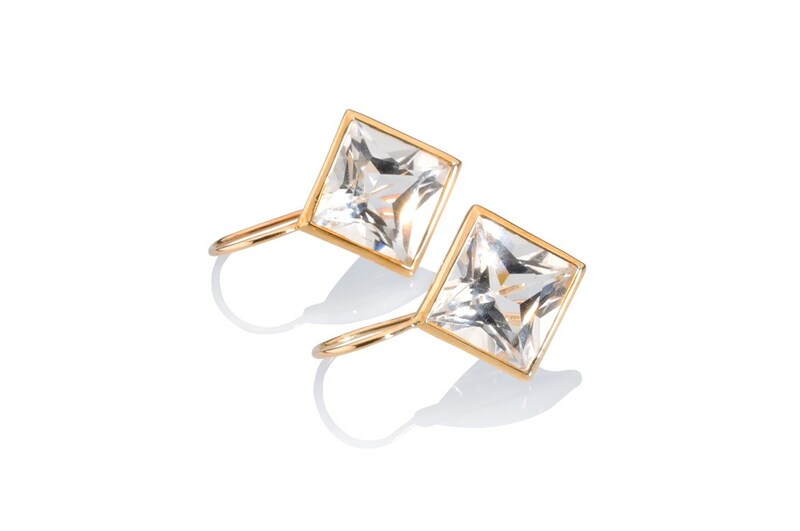 These earrings are very versatile and add a bit of sparkle to your outfit – they will go with an evening gown as well as adding a feminine touch to a business outfit. 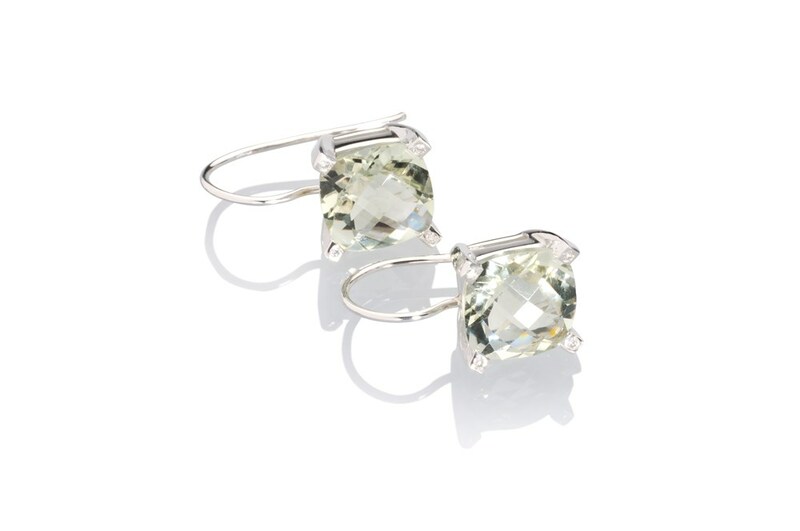 They make a perfect gift for someone special – or for yourself! They are handmade of 9ct pink gold, are hallmarked by the London Assay Office and carry the maker’s mark ‘MMzS’. Dimensions: 1.2 x 1.2 cm plus 1.2 cm drop (hook). 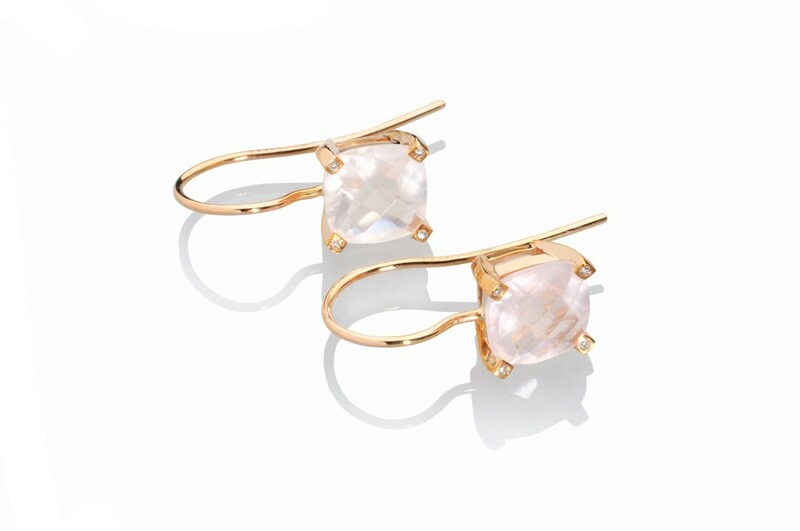 Material: 9ct pink gold, rose quartz and diamonds. These pieces are made to order - please allow 4-6 weeks for delivery.